Self-Driving Vehicles = Growth For STOVs? Hardware costs are dropping precipitously and may soon be within striking distance of being affordable for golf car type vehicles. Golf car manufacturers are already exploring the technology and in some cases conducting testing. Other companies are using GEM vehicles as self-driving test vehicles. Gated communities with low speed vehicles provide a lower complexity environment that is more conducive to self-driving solutions. The article points to gated communities and urban fleets as potential market segments for deployment of self-driving technology. There are also other potential market impacts not addressed in the article that this technology can have. For one, self-driving technology could provide an impetus for LSVs sales in the personal transportation sector. Purpose made LSVs have not quite reached their potential in this segment due to the relative cost of LSVs compared to the available market alternatives such as used golf cars, golf cars modified to be LSV compliant, customized golf cars and new golf cars. Put simply, not enough customers have found the additional price of LSVs to be worth the additional benefits. LSVs for personal transportation have done best where local regulations have favored them such as where golf cars or modified golf cars are not allowed on public roads but LSVs are, or where night time driving or other driving restrictions require LSV compliant technology. 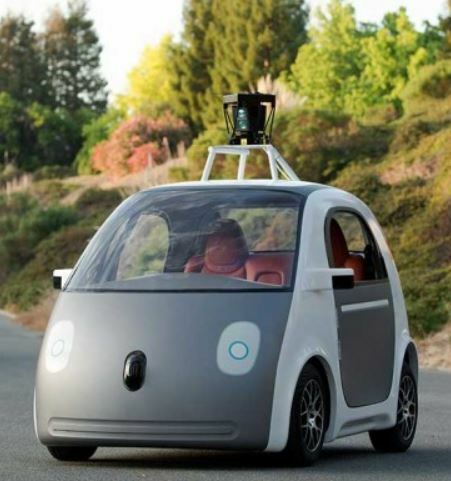 Self-driving technology could be a differentiator for personal transportation LSVs. Since they are higher priced, LSVs are likely to feature self-driving technology before traditional golf cars. While it is possible existing golf cars could be retrofitted with self-driving technology, it may prove cost prohibitive and, more importantly, likely to encounter regulatory issues. It’s one thing to slap on some lights and an auto-style windshield, it’s quite another to install the software and hardware components necessary to create a self-driving vehicle, not to mention supporting the system with updates moving forward. Regulatory issues brings to mind another consideration in regard to self-driving technology, medium speed vehicles (MSVs). While a few states in the US allow medium speed vehicles, at the Federal level NHTSA has never created a MSV classification and, in fact, has strongly opposed the idea on safety grounds. A MSV would require prohibitively expensive safety features akin to a highway capable vehicle. This is an astonishing drop, and even more so considering it does not take into account whether Autopilot was in use. Therefore, this improvement is likely a conservative finding. The question is straightforward. Can MSVs use self-driving technology to make them safe enough to pass NHTSA’s regulatory rigor? Why rely on a package of older and likely more expensive safety technology to improve MSV safety when a potentially cheaper and possibly more effective solution is on the horizon. It may soon be time to revisit the possibility of creating an MSV classification, which could open up a range of potential growth markets. The 2016 GEM e2 is part of the recall. GEM, owned by Polaris, has issued a recall for 2016-2017 e2, e4, e6, and eL XD models because the drive mode switch can send an incorrect signal, causing the vehicle to go in the opposite direction than intended. This is a fairly large recall for GEM in relation to their annual sales. It seems few Polaris brands can escape recall issues of late. The following information is from NHTSA. Polaris Industries, Inc. (Polaris) is recalling certain 2016-2017 GEM e2, e4, e6, and eL XD electric vehicles manufactured May 29, 2015, to November 18, 2016. The drive mode switch can send an incorrect signal, causing the vehicle to go in the opposite direction than intended. Polaris will notify owners, and dealers will replace the drive switch, free of charge. The recall is expected to begin in December 2016. Owners may contact GEM Consumer Service Department at 1-855-743-3436. Polaris’ number for this recall is L-16-01. 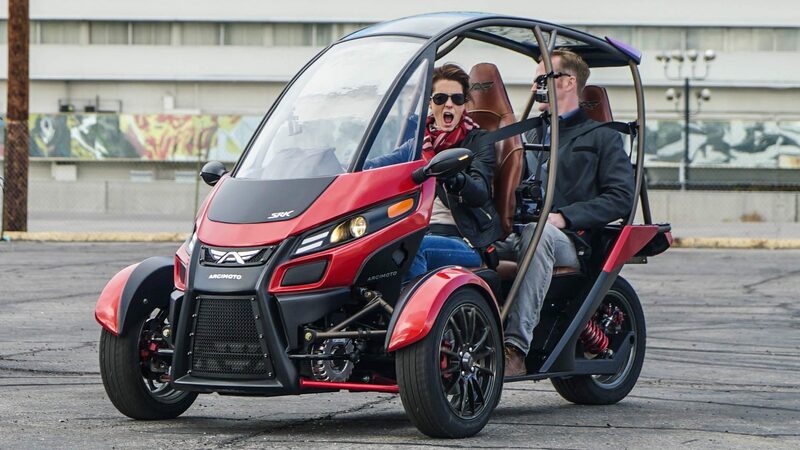 The electric powered Arcimoto SRK is expected to be available later this year. I have come across a number of articles recently focusing on autocycles and I thought this might be a potential product development direction for STOV manufacturers. The benefit of being classified as a motorcycle is that the vehicle does not have to conform to more expensive automobile safety standards. This benefit is key to providing STOV manufacturers with a new product opportunity. 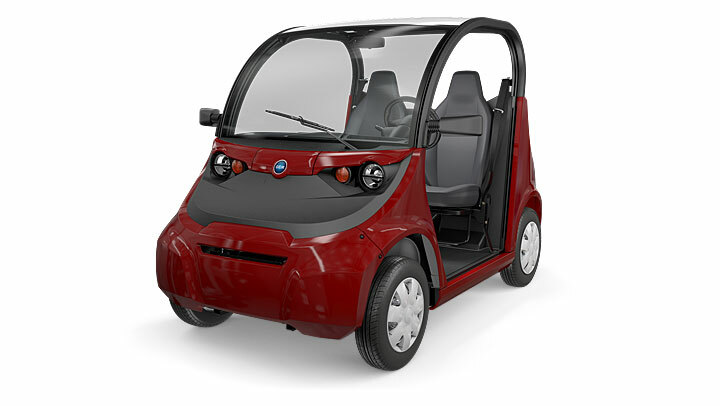 In particular, I believe Polaris and the golf car manufacturers are well positioned to produce a more practical neighborhood electric vehicle that can provide a good value proposition in relation to street legal golf cars (new or used), low speed vehicles and lower priced highway capable cars. Now Polaris already has the Slingshot, but this is more of a recreational vehicle designed for those interested in a motorcycle like experience with a greater sense of safety and requiring less driving skill. The Slingshot is highway capable, features a gas engine and pricing starts around $22,000. The not yet in production Elio Motors autocycle is also gas powered, highway capable and has a base price of $7,300. The electric powered Arcimoto SRK is expected to be available this year, has a top speed of 80 mph and starts at $12,000 for the 12kWh model which provides a 70 mile range. Like Slingshot, the Elio and SRK provide seating for two but they are placed front to back rather than side to side as in the Slingshot. All three feature two wheels up front and one in the rear. While all three of these vehicles are capable of highway speeds, I propose that there is a real market opportunity for a medium speed vehicle (MSV). The medium speed, say up to 40-45 mph, would make the vehicles more practical to use for personal transport than golf cars or LSVs which top out at 19-25 mph. STOV manufacturers have pushed for a MSV designation but NHTSA has not been willing to budge on the costly safety standards for four-wheeled vehicles. This is why the motorcycle/autocycle classification is critical to this opportunity. A MSV autocycle would be a more viable second vehicle for many households and a more versatile neighborhood vehicle for those in gated or retirement communities. The vehicle should also be electric powered to maximize the environmental benefits and also take advantage of electric motorcycle incentives where available. An electric autocycle would provide a significantly less expensive electric vehicle option to green consumers than the currently available electric cars. A MSV would also require a smaller battery pack than a highway capable electric autocycle, further reducing costs. Of course, a highway capable option could be made available but that would start driving up the costs. Besides the aforementioned startups, who is positioned to develop these type of vehicles? Polaris is an obvious choice. They already have experience designing, engineering and producing an autocycle and they are innovators. They also have been acquiring electric drivetrain technology (Brammo) and electric vehicle brands such as GEM, Goupil and Taylor-Dunn. It is a vehicle that could potentially fit nicely into their portfolio of the brands that are sold internationally. The biggest challenge for Polaris would be distribution. A MSV autocycle would probably not be a good fit for their powersports dealers, as the customers would be more transportation than recreation oriented. Their brands such as Goupil, Taylor-Dunn and even GEM are geared more towards the commercial customer. Polaris might have to partner with another company to access the right distribution channels. This brings us to the golf car manufacturers. They have the expertise in developing and selling electric vehicles, but not necessarily the three-wheeled variety and have been more focused on lead acid battery packs. One could argue that they also haven’t been that innovative. They do however have the right distribution network. Their customers are already coming to them for personal transportation solutions. A MSV autocycle could find a home in Textron’s (maker of E-Z-GO) Specialty Vehicle division which encompasses a wide range of small, task-oriented vehicles. They have also been striking out into new territory with new ATV and UTV products under the Bad Boy Off-road brand. 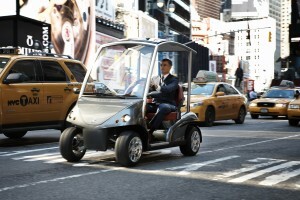 Another option is Yamaha Golf Car, although they are the smallest of the big three manufacturers. This leaves Club Car. As a subsidiary of Ingersoll-Rand they certainly have the financial wherewithal to develop a vehicle on their own, and they may be the best fit for a partnership with Polaris. Unlike Yamaha and Textron they do not compete directly with Polaris in the recreational UTV space. They are also considered by many to be the highest quality brand of the three and have over 600 distributors, dealers and factory branch locations. It will be interesting to see if the autocycles from Elio and Arcimoto prove to be popular and encourage other manufacturers to join the fray.